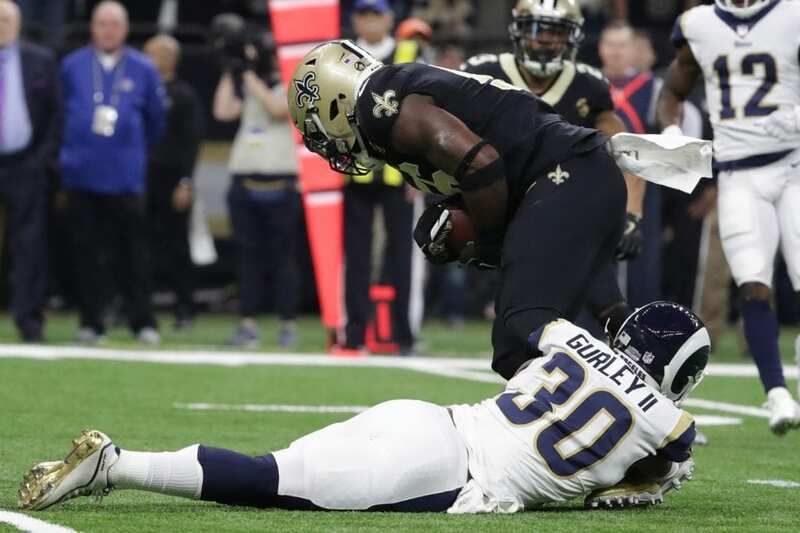 Todd Gurley did not make much of an impact in the Los Angeles Rams’ win in the NFC Championship game, but head coach Sean McVay is looking to change that moving forward. Gurley was noticeably a non-factor during the team’s victory over the New Orleans Saints. At one point, he was even seen on the sideline while the offense was mounting their comeback in the second half. As a result, there was plenty of speculation regarding what had happened to Gurley up to that point. It seems he simply fell by the wayside in McVay’s game plan. McVay’s comments should come as no surprise since he has always held himself accountable for any shortcomings on offense. Unfortunately, Gurley’s performance raised bigger questions regarding his health moving forward. It is no secret that Gurley had been dealing with a knee injury over the last several weeks, but he has dispelled the notion. It seems his production is simply a reflection of whatever matchup McVay likes at the time.